Add the flour mixture and beat just until there are no more streaks of flour. Gently stir in the chocolate chips and pretzels. Cover and refrigerate for an hour. Preheat the oven to 350F. Line baking sheets with parchment paper. Scoop out well rounded tablespoonfuls of the dough, leaving about 2 inches between each ball. Bake for 10 minutes. 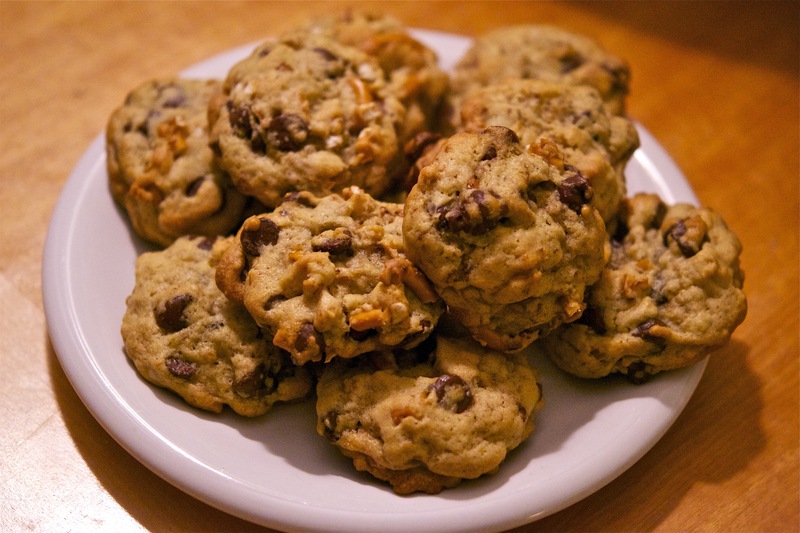 If you prefer crispier cookies increase the baking time by 1-2 minutes. Allow the cookies to cool on the baking sheet for a few minutes before removing.